What Kind Of A Noise Annoys An Oyster? Signs posted around Point Reyes, CA. Photo by C. Reeb, June 2014. 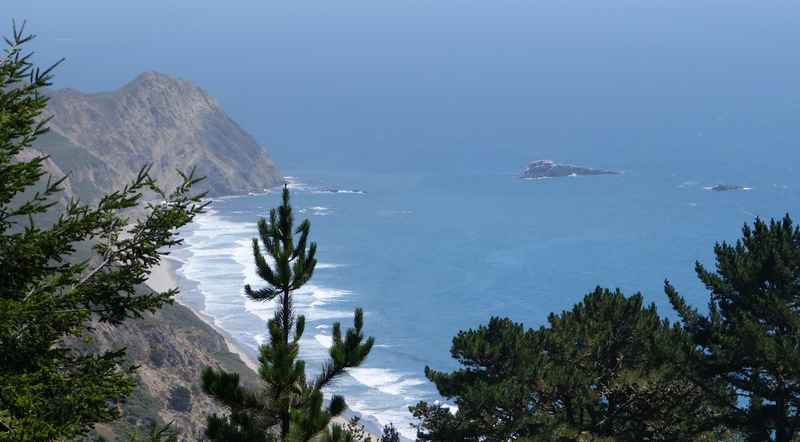 In June, I was in Point Reyes National Seashore for a backpacking trip. Renowned for its unique geology and diverse plant, bird, and marine life, this coastal wilderness is also flanked by a handful of small, peaceful towns built upon a history of ranching. The day before heading out, I wandered through one of these towns, Point Reyes Station. As I did, I couldn’t help but notice all the signs. 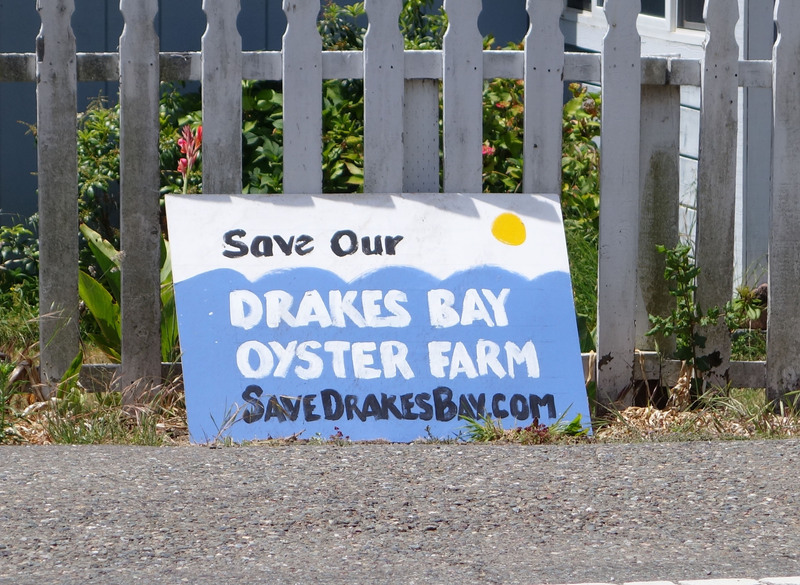 From homes, businesses, telephone poles, even the trunks of trees they proclaimed, “Save Our Drakes Bay Oyster Farm.” Out of curiosity, I began asking locals about the signs. I learned that the National Park Service was planning to close an oyster farm that had been operating for 82 years on land inside the Park. 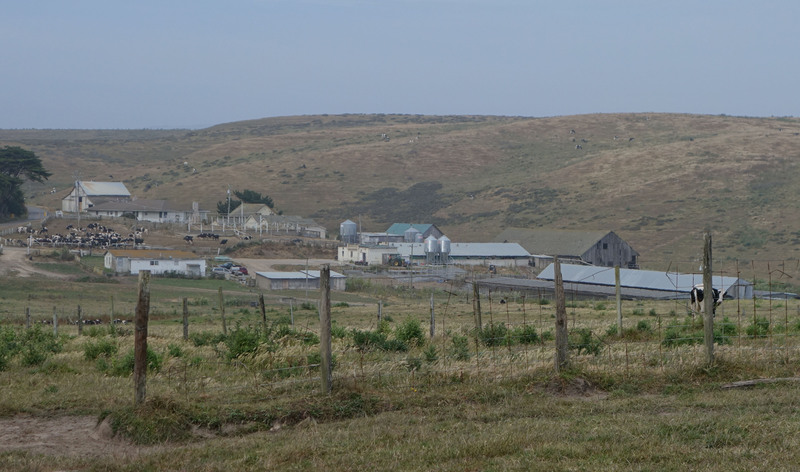 “Next thing you know,” an innkeeper warned, “they’ll be shutting down the ranches too.” By “ranches,” he meant the dozen or so”historic” cattle and dairy farms occupying the northern section of Point Reyes National Seashore. I stopped by the town’s visitor center. A woman opened a map to show me where the farm was located – right in the middle of the National Park. It occupied about 1000 acres of the estuary, which is nearly half of Drakes Estero. Closing the farm and its cannery, she told me, would put people out of work. “I remember in the beginning, everyone thought the park was a good idea because it stopped developers from coming in and taking over.” It sounded like now she was having second thoughts. I parked my car alongside the road to take a picture of a sign. A passerby asked if I was lost. I asked her about the sign. “Oh. Well, I haven’t decided what I think yet,” she admitted, “but I can see both sides.” She told me how the controversy had divided the town. Some people were no longer on speaking terms. I grew up on the east coast about an hour’s drive from the Chesapeake Bay where oysters (Crassostera virginica) are big business. In grad school I did genetic research on these oysters, which are native to the region. Suddenly, I was curious. What was all this noise on oysters really all about? I decided to take a trip to the farm and find out. Schon’s Lagoon, part of Drakes Estero. Photo: C. Reeb, June 2014. The Oyster Shack. $12 for 6 on the half-shell. Photo: C. Reeb, June 2014. Groups of people were huddled together around picnic tables. Kids waited with paper plates while adults pried apart oysters with dull knives and small hammers. An American flag posted to the side of one of the buildings flapped in the breeze. A short line of patrons extended out the door. 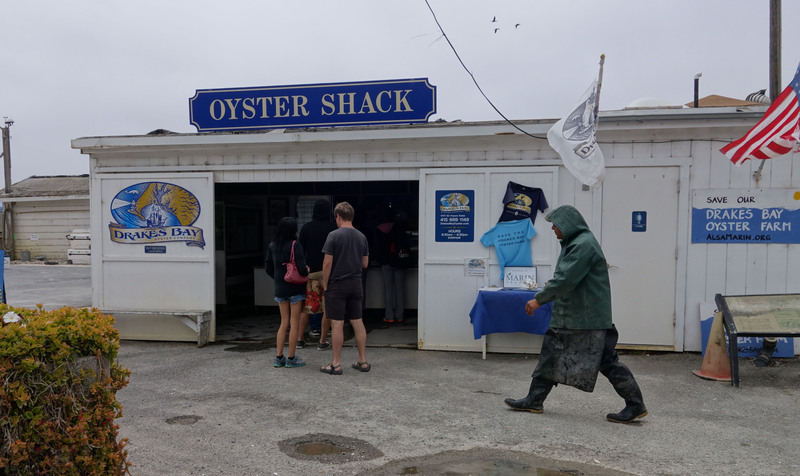 This was the “Oyster Shack.” Inside, was a chalkboard menu with prices: $2 per oyster; $12 for six on the half shell, $24 for a bag of two-dozen to be shucked yourself, tools provided. 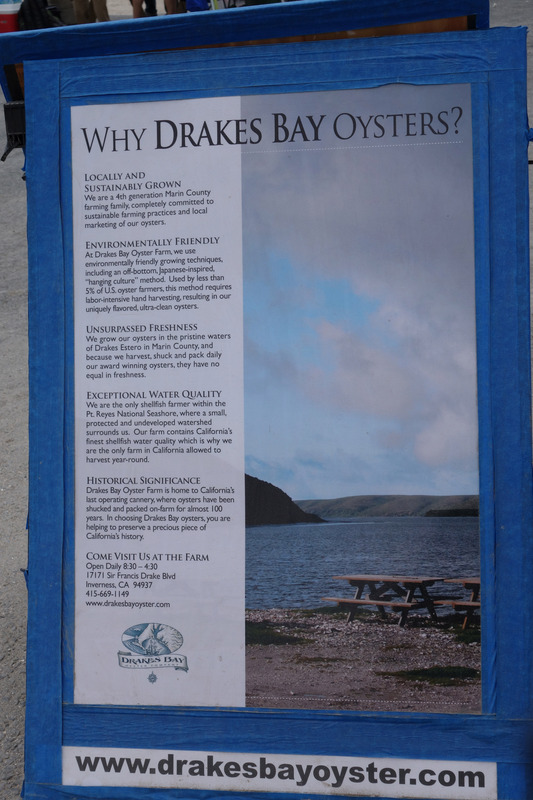 Informational sign about oyster farming in Drakes Estero. Photo: C. Reeb, June 2014. I remembered an old saying from home: never eat oysters in a month without an “r”. As it was June, this was one of those bad months when long days and warm temperatures can create the conditions for harmful algal blooms that are linked to cases of paralytic shellfish poisoning. Reassured by an informational sign promoting the Estero as a “protected and undeveloped watershed” that provides the farm with “California’s finest shellfish water quality,” I made a decision. Ignoring the warnings of tradition, I ordered six on the half-shell. Tilting a shell to my mouth, I slurped the soft mollusk in. First thought: salty, not so sweet. These oysters were fairly small. As such, they lacked much of the milky glycogen that would give them the sweetness I was expecting. The worker who prepared my plate left me to hand my money over to a woman who was busy talking on the phone. I easily overheard part of her conversation. When the conversation ended, she came to the counter. As I handed her my money, I asked why the farm had to be closed. In her answer, she identified herself as the farm manager. Later, I realized I was talking to the owner’s sister. “Scientists and the government are using bad science to put us out of business,” she said. “Can you believe it?” She went on, speaking passionately for the farm while expressing outrage at the situation the farm was in. “Just wait,” she warned. “One day the government will tell you what you can and cannot eat.” She rattled off a list of injustices levied against the farm beginning with the National Park Service’s threat to close them down and rob the public of a sustainable seafood business. She complained that the Coastal Commission unfairly denied them permits for site development, including permission to repair leaky roofs on many of the buildings. “What’s going to happen when it rains?” she asked. “Good thing we’re in a drought,” I joked, unsure what more I should say. Her message was loud and clear to me: bad science, radical environmentalists, and a small number of out-of-touch government officials were conspiring with the National Park Service to force a hard-working family out of business. As a result, jobs will be lost, the local economy will suffer, and a sustainable seafood product will be taken off the market. She added that even U.S. Senator Diane Feinstein was trying to help save the farm. “Listen, do you hear that?” she asked. A motor-driven conveyor belt brings oysters from flat boats in the water to cannery workers onshore. Photo: C. Reeb, June 2014. “Hear what?” It took me a moment before I realized she was referring to the low hum of a diesel-powered engine. It drove a conveyor belt bringing oysters from flat boats in the water to a group of workers onshore. “That’s just it. Bad science says that motor is bothering seal pups and disturbing people in homes two miles away. But you can hardly hear it.” I had to agree, it was quiet enough. However, sounds come in a variety of frequencies creating a “soundscape” that humans cannot always detect. Meanwhile, these noises can sometimes disturb marine mammals. “Oh.” She paused. “Then you should know bad science when you see it, right?” I should, of course. But at the time, I had not read the environmental reviews or scientific reports about the farm to form an opinion. I had come here with curiosity, driven by an interest in oyster biology and maybe a little hungry too. But as she continued with accusations of “bad science”, I found myself wanting more details. So I questioned statements found on the farm’s informational sign, which described practices as “environmentally friendly” and “sustainable.” Unlike most oyster operations on the east coast, this one did not use artificial oyster beds. Instead, they used “hanging culture” methods that do not disturb species living on the bottom of the Estero. This was good. But, I was bothered by one particular fact. I was referring to Olympia oysters. Oyster farming in California began with Olympia oysters. By the mid 1800’s however, over-exploitation and increased urbanization had degraded the oyster’s habitat causing populations to dramatically decline. About this time, shellfish species from Asia and the east coast were introduced to keep the valuable fishery alive. Today, efforts are underway to restore the native species. “Yes, our oysters are not native,” she admitted. “But there’s no way they reproduce and survive outside the farm. Here, let me show you.” With that, I followed her into the oyster-rearing lab behind the Oyster Shack. She told me the farm was the only one in the area capable of producing their own larval “seed.” That piqued my interest. She showed me a jar of finely ground oyster shells that looked like sand. About two weeks after hatching, free-swimming oyster larvae metamorphose and attach or “seed” onto these shells and become sedentary for the rest of their lives. 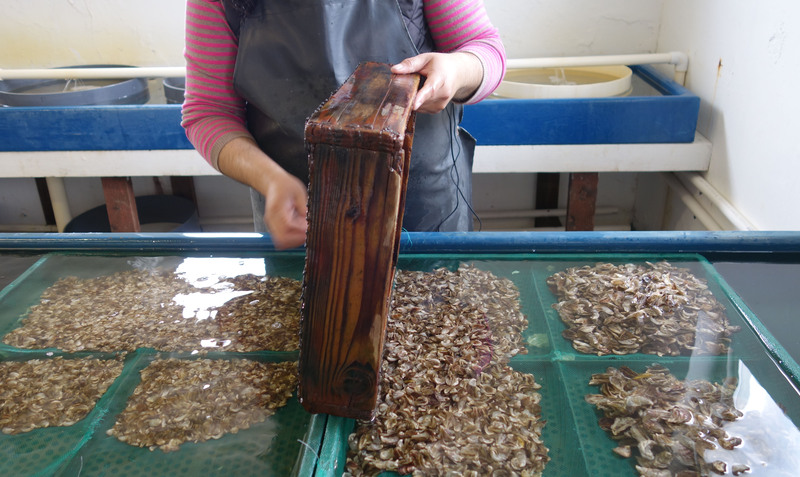 Read About Pacific Oysters and Culture Methods HERE. “There’s no way our larvae can survive in the Estero,” she assured me. Water temperatures there were too cold. Proper metamorphosis could only occur within their facility. As she spoke, I wondered in silence about the potential this species had to evolve. In a future of climate warming, would Pacific oysters make a biological leap and one day colonize Drakes Estero? What would that look like, ecologically? Sorting year-old oysters by size in the rearing facility. Photo: C. Reeb, June 2014. She introduced me to the farm’s marine biologist who was sorting year-old oysters through various-sized screens then placing them in mesh bags. They keep the shell sizes uniform in the bags before placing them out in the Estero. Suspended above the bottom, these filter-feeding bivalves feast on plankton brought in on the tides. Four or five years later, they are harvested. “Except right now we are harvesting everything we can,” she said, “because we don’t know how long we will last.” I realized this probably explained the lack of sweetness in the small oysters I purchased earlier. We headed back outside and were approached by a jovial guy sporting a campaign hat. “Here’s something to bring you luck,” he said handing the manager a four-leaf clover pressed between layers of plastic wrap. I listened while they compared notes on the latest residents and businesses who had joined the farm’s cause. I shrugged helplessly when they expressed disgust over big government’s bullying of a small family farm. All of us wondered out loud on whether the U.S. Supreme Court would hear their case in two weeks. I thought they would, given the growing controversy between those making a living off natural resources on public lands and the conflicts arising over financial costs of complying with laws meant to protect vulnerable species teetering on the edge of extinction. I, too, was starting to see the difficult choices that divided both sides. 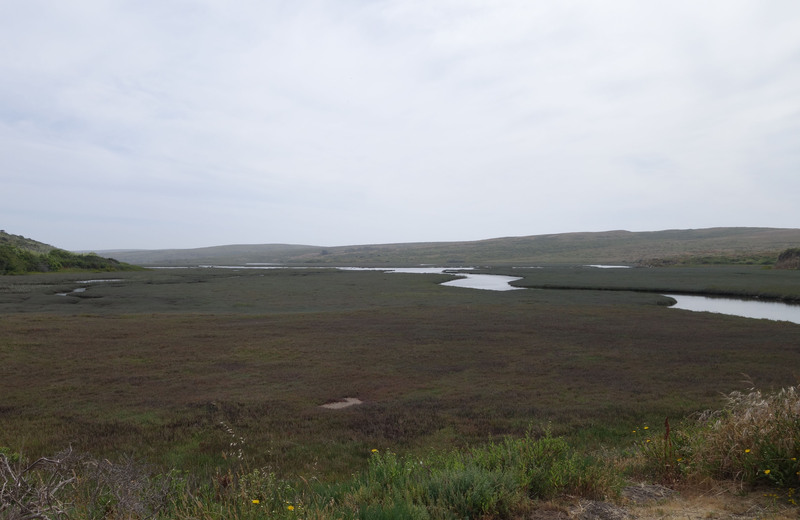 But my mind kept returning to one simple fact: Point Reyes National Seashore and Drakes Estero were set aside by Congress for public use, not commercial businesses or farming. It was a wilderness area, which is what brought me here for backpacking in the first place. I had to admit, she had a point. On my way to the farm I was nearly run off the road by a speeding Audi passing slower traffic, despite a double yellow line. Certainly, there are people in the public who don’t get it. “Sorry to interrupt!” A young woman ran up to us, shivering. She was in shorts. The hood of her recently purchased Drakes Bay Oyster Company sweatshirt was tied tightly under her chin. 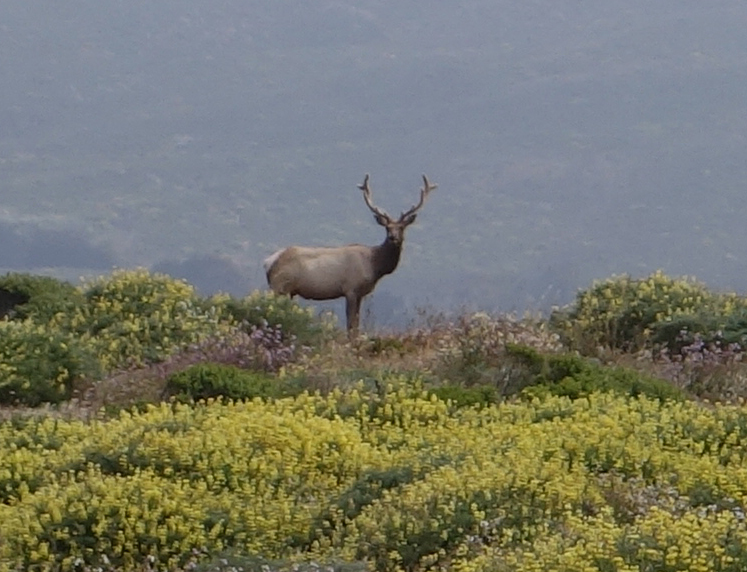 Tule elk are endemic to California and once roamed the Central Valley and coastal areas in large herds. By the mid 1800’s, these herds had been displaced by ranching and decimated by hunting to the point where they were considered extinct until a small group was “discovered” in 1874. Today, the only free-ranging herd left is the one fenced off in a reserve on the northern tip of Point Reyes. While at the visitor center, I was told the population of elk had recently grown. Some were now escaping the reserve to bully the cows for grazing pastures. It was becoming a problem. Tule elk once roamed California in large herds. Photo: C. Reeb, June 2014. When I got home, I “googled” the oyster farm. As with most controversial cases that make their way to the Supreme Court, there was a wealth of information online. In particular, I discovered one key fact the farm manager failed to mention. In 1972, the oyster farm’s previous owner, Charlie Johnson, sold his land to the U.S. government for $79,200. In return, the National Park Service gave him a one time, 40-year lease to continue farming oysters until 2012. In 2004, he sold his oyster business to the Lunny family, who finalized the deal knowing the farm’s lease would soon end. This made me stop and think. Why would someone buy a business knowing it would be shut down within 8 years? Arch rock, Pt. Reyes National Seashore. Photo: C. Reeb, June 2014. When Mr. Johnson sold his land to the government and Congress subsequently listed Drakes Estero as a “potential” wilderness area, the oyster farm’s fate was sealed. Despite a 2009 provision from Senator Feinstein enabling the Interior Secretary to grant a 10-year permit renewal, federal legislators never gave the oyster farm what it really needed; a permanent lease. Instead, they granted the Interior Secretary discretion to transition Drakes Estero from a “potential” wilderness into a full-fledged wilderness area once the farm’s lease expired. Read the Interior Secretary’s decision HERE. What about the accusations of bad science? I looked that up too. In order for the Interior Secretary to make his decision, the National Park Service was required by law (i.e. National Environmental Policy Act of 1970), to produce an Environmental Impact Statement (EIS). However, the Park Service was not required to design experiments to test the farm’s environmental impacts. To do this would have been costly and time consuming. Rather, the report was required to use existing data. Sadly, after 82 years of oyster farming in Drakes Estero, little scientific data had been collected for a rigorous assessment of farm practices. When conflict erupted, implications that the oyster farm was anything other than “environmentally friendly” were met with strong opposition. 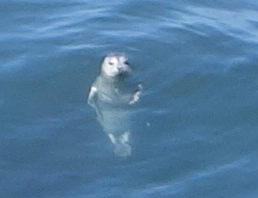 Young harbor seal. Photo: C. Reeb, June 2014. The National Academy of Sciences was called in to review the Park Services’ report. Read The Academy’s Review HERE. They found no evidence of “bad science,” but did find high levels of uncertainty surrounding some conclusions. One of those conclusions involved noise generated by motors and other disturbances common to farm operations. The Academy noted that Park Service scientists had not fully characterized all components of the Drakes Estero “soundscape,”, including traffic noise. This does not mean the farm manager was justified in her casual dismissal of the diesel motor nor does it mean the motor is harmful to a nearby harbor seal rookery. It simply means we do not have enough data to know for sure. To change that, more research must be done. Read the San Francisco Chronicle’s perspective HERE. Interestingly, restating the question of noise in the case where all motors are turned off (i.e. the farm is shut down) was found to have a low level of uncertainty by the Academy. In other words, scientists could be certain there were benefits to seals if farm noise was eliminated. Perhaps somewhere between these two extremes is a scientifically acceptable scenario for oyster farms and seals. Unfortunately, no one made an effort to find it. In the end, science played little role in the Secretary’s decision. Citing Congress’s direction to “steadily continue to remove all obstacles to the eventual conversion of these lands and waters to wilderness status,” he invoked discretion not to renew the farm’s lease (Scroll to page 7 and read the Secretary’s Conclusion HERE). The Lunny family sued, claiming Senator Feinstein’s 2009 provision (Section 124) only allowed the Secretary to approve a lease extension, not deny it outright. A federal court disagreed. Since then, the farm has been allowed to stay open until all appeals were exhausted. On Monday, June 30th, 2014, the U.S. Supreme Court declined to hear the farm’s case (read the KQED article HERE). Hence, Drakes Bay Oyster Company will close and Drakes Estero will transition back to the wild. The Lunny family plans more appeals. 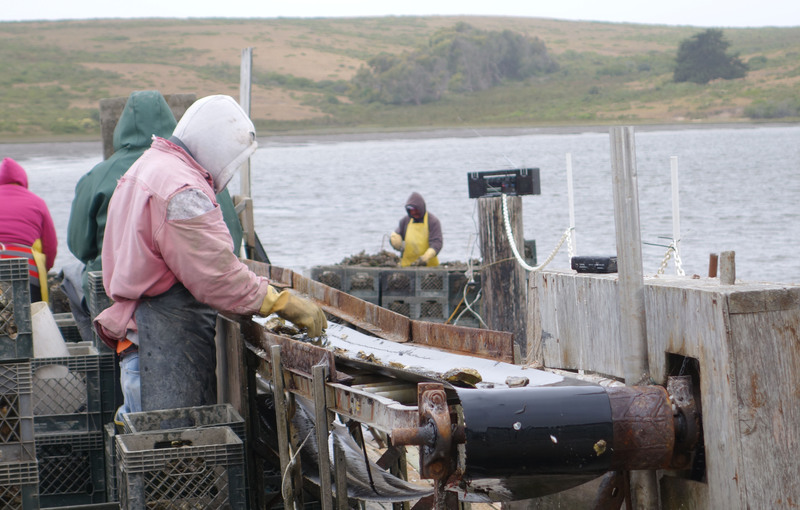 Meanwhile, in nearby Tomales Bay, outside the boundaries of Point Reyes National Seashore and adjacent to the Tule elk Reserve, commercial oyster farming thrives. I suspect those oysters never noticed the noise. Dairy operation in Point Reyes National Seashore. Photo: C. Reeb, June 2014. 1.) Of Mollusks and Men: The Wilderness Act and Drakes Bay Oyster Company. The Berkeley Blog. J.F. Hein. 1 January 2013. 2.) The Fall of the Wild? Not Really. The Wilderness Act Turns 50. The Slate. B. Minteer 20 July 2014. Did I miss your opinion of the farm? There was a lot to read at 5:30 am so I may have miss it. I really like your blog. Thanks for your comment. I did not want to sound too opinionated. I wanted the reader to make up their own mind. Despite that, I do hope my primary concern came through. That is this: culture of introduced species in a National Park and Seashore is not ideal. Not only are Pacific oysters (Crassostrea gigs) farmed, but Manila clams (Venerupis philippinarum) are grown there too. The latter was introduced to the Estero by the current farm owners without Coastal Commission permits, according to documents I read. Manila clams are considered an invasive species accidentally introduced to California in shipments of Pacific oysters back in the 1800’s. Regardless, I personally do not believe these 2 species should be farmed in a wilderness area and National Park. To me, it seems ethically wrong, given the Park’s purpose. However, there are very few specific scientific studies that support or reject hypothesis on whether these 2 invasive species actually impact the Estero. This dilemma is becoming a growing problem in our country. As businesses challenge environmental laws in court by claiming a lack of scientific proof of impact, who is charged with funding the studies to collect the right data that address those accusations with adequate scientific certainty? Right now, we have a lot of bad assumptions and misinformation stemming from both sides (I must be fair here) that completely confuse the public. Real science and research funding must become priorities if these cases continue in court. Otherwise, facts become irrelevant and truth falls off the scale of justice. If a tree falls in the forest and no one is there to document its fall, can we ever be certain that it fell at all? That is my greatest concern.